Ask Personal Bankruptcy Lawyers: Will Bad Credit Harm My Job Application? It is perfectly normal to be concerned about your credit history. Whether you've been through bankruptcy or not, your credit score is definitely a factor in getting additional credit. It can also play a role, in certain cases, in housing decisions by lenders and landlords. But what about the effect of credit history on employment applications? If your record is less-than-perfect, will it cause you to be denied - for that reason alone - a job you are applying for? 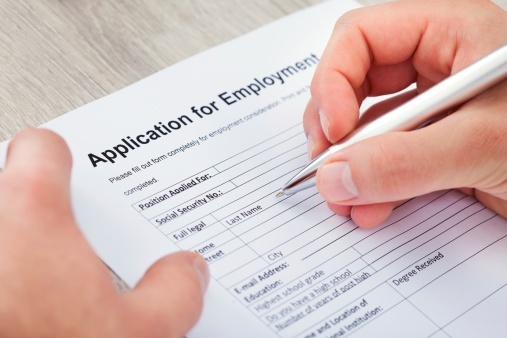 Does Your Credit History Impact Employment Applications? All things considered, there may be not as much grounds for worry about the impact of a bumpy credit history on job applications as you might have feared. For one thing, according to a recent report by the Society for Human Resource Management, only 13 percent of employers run credit checks on all of their job candidates. Tony Deblauwe, of the consulting company HR4Change, puts it this way: "Typically the credit check is not for all jobs. Usually there has to be a reason, such as the job is in finance, or an executive level job with profit and loss responsibility." Even if you have credit problems that show up in a background check, it doesn't always mean your resume is headed for the dustbin. Keep in mind the Donald Trump factor. Many successful people have had financial problems in the past. If you can show the hiring manager that you have the skills the company is looking for, it may not matter that your credit history contains a bankruptcy or other issues. It does make sense, however, to get a copy of your credit report and make sure you know what's on there. The report may show you have had a financial stumble or two along the way. But that will not necessarily keep you from the job you want. If you need help with credit and bankruptcy issues, contact one of our personal bankruptcy lawyers today for a free consultation. Source: "6 myths about employer credit checks"